Why choose Microsoft Azure when Amazon Web Services (AWS) is the “clear market share leader?” People ask me this question all the time. They don’t understand how I could go with Azure. The truth is, though, market share isn’t the most important thing to consider when it comes to choosing a Cloud services provider. What matters are the facts. And that’s what we’ll be taking a look at in Part 1 of a new blog series comparing Azure and AWS. My aim is to present an unbiased comparison of what Microsoft and Amazon have to offer. Instead of getting swept up in the hype, I’m focusing on which provider offers better Cloud computing solutions. Are you a CTO or aspiring to become one? If so, this blog will offer you insight into some of the key differences between Azure and AWS, along with their relative strengths and weaknesses. In Part 1 of this series, we’ll compare Azure and AWS with respect to three important areas: Infrastructure as a Service, the Hybrid Cloud, and overall Cloud capabilities. #1: Which Company Offers Better Infrastructure as a Service (IaaS)? Amazon has been in Cloud computing for a long time, and one could argue that they were the first public Cloud provider out there. Early in Amazon’s history, they had to develop the server infrastructure to support their eCommerce platform. Their innovative approach was then put to use to serve customers via the Public Cloud. Meanwhile, Microsoft took a different approach. They developed leading tools, servers, and enterprise services while Amazon was growing their Cloud business. Once Microsoft saw the writing on the wall, however, they shifted their focus over to developing virtualization technology. This resulted in the development of Microsoft Azure. Now, Microsoft has combined their various departmental focuses (including their Internet and Search teams) into a Cloud computing platform that serves a customer base of enterprise-level clients. The bottom line: AWS got a head start, but Microsoft is now keeping pace. Who’s the best IaaS provider? It’s a tie. #2: Amazon vs. Microsoft: Who Has the Best Hybrid Cloud? It’s increasingly common for companies to adapt a Hybrid Cloud infrastructure, combining on-site infrastructure with Cloud-based solutions. Microsoft anticipated that companies would need this sort of hybrid infrastructure. As a result, they’ve made their products Hybrid Cloud functional. All of their products are now Cloud-focused (and then later back-ported into physical servers on-site). Additionally, Microsoft’s Azure Hybrid Benefit allows customers to take advantage of Cloud computing power for their Windows Server workloads by using their on-premise licenses. AWS’s approach has been quite different. With their heavy focus on the Cloud from the very beginning, their aim has been to convince clients that they should make a full transition to the Cloud. While they do offer clients the ability to backup their existing Windows servers to the Amazon Cloud, they’re not offering anything rivaling Microsoft’s Hybrid system. Where can you find the best Hybrid Cloud? Azure. #3: Which Provider Offers Complete Cloud Capabilities? When you consider Software as a Service (SaaS) capabilities, Microsoft is clearly in the lead. With Microsoft Office 365 operating as SaaS, it’s possible to easily integrate employees’ email communication and other work-related productivity into a single platform. Plus, Microsoft has introduced a number of essential business applications that integrate perfectly with Azure. 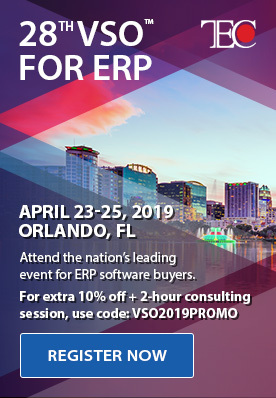 One clear example here is finance and operations: Dynamics ERP makes it easy for enterprises to automate back office functionality and sync data across various departments. 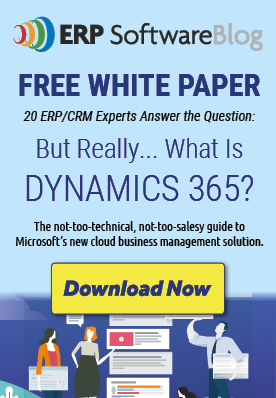 With Dynamics ERP, companies can easily keep up with operations, manufacturing, HR, supply chains, and more. Of course, Amazon offers the ability to “lift and shift” these items to the Cloud. But if you go this route, it’ll be your IT department handling the infrastructure and solving problems from day to day. Microsoft eliminates this need, meaning that your IT staff can spend their time on tasks that add value. AWS vs. Azure for total Cloud capabilities? 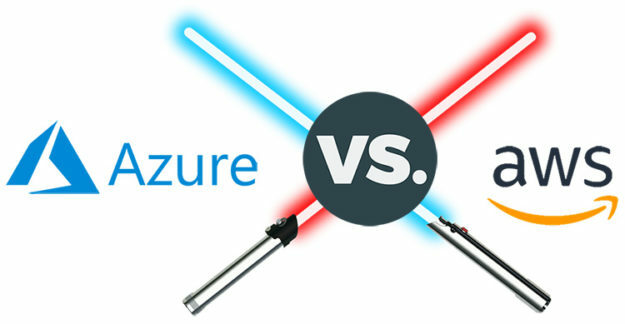 Azure comes out on top. When you consider IaaS, the Hybrid Cloud, SaaS, and overall capabilities, Microsoft Azure clearly outperforms AWS. In Part 2 of this blog, we’ll look further into the differences between these two platforms. Ready to find out more about how Microsoft Azure can help your business succeed? Click here to learn about AKA Enterprise Solutions’ Cloud Services and watch this video. Infographic: Why Are Everyone’s Thoughts in the Clouds?